With Cris Cyborg defending the UFC Women's Featherweight Championship in dominant fashion with a unanimous decision victory over Holly Holm at UFC 219, the natural question that comes next is who Cyborg should step into the Octagon with in her next fight. 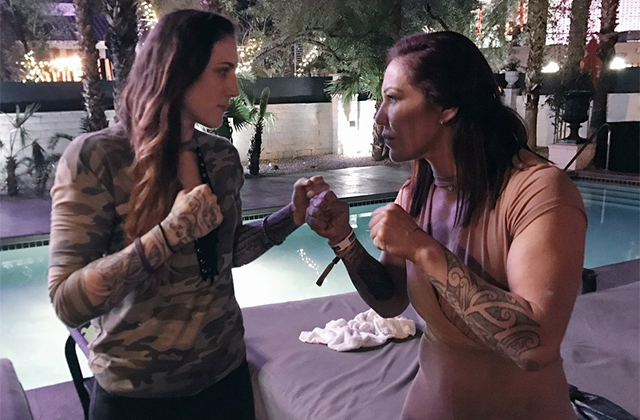 In the days following the event, rumors floated on Twitter of a possible fight between Cyborg and Megan Anderson at UFC 221 in Perth, Australia, which is where Anderson is from. While Cyborg said this fight had been offered to her by the UFC, Anderson and her camp denied the claim and the UFC also said this wasn't true. With the card just six weeks away, it wasn't much time to book this fight with a proper training camp for both competitors, and especially since Cyborg just came off of a five-round bout with Holm. Plus, Anderson's ability to fight in general is up in the air right now. So sorry UFC fans in Australia, but you'll likely have to make do with a main event between Robert Whittaker and Luke Rockhold and a co-main event between Mark Hunt and Curtis Blaydes. A solid card to be sure, but one in which Cyborg vs. Anderson being added to it would have helped a lot. 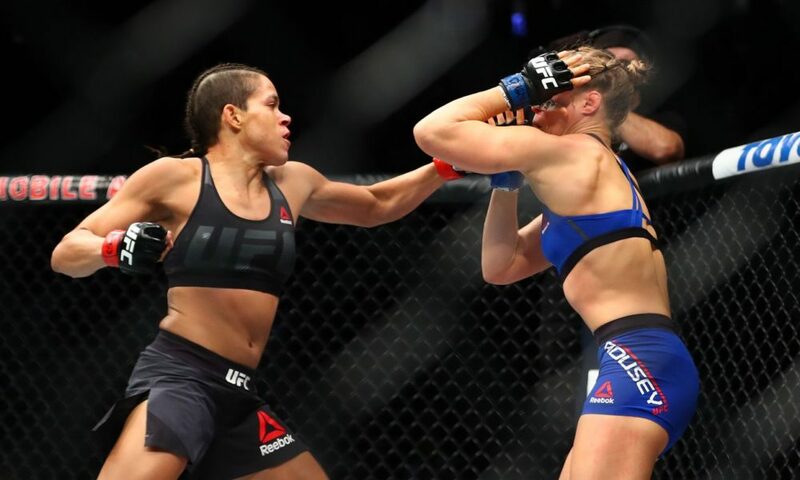 Instead of the Cyborg vs. Anderson fight, it's looking like Cyborg's next title defense is going to come in the form of a superfight, with UFC Women's Bantamweight Champion Amanda Nunes moving up in weight to try and win another belt. UFC President Dana White, who also denied the Cyborg vs. Anderson fight, confirmed with Kevin Iole of Yahoo! 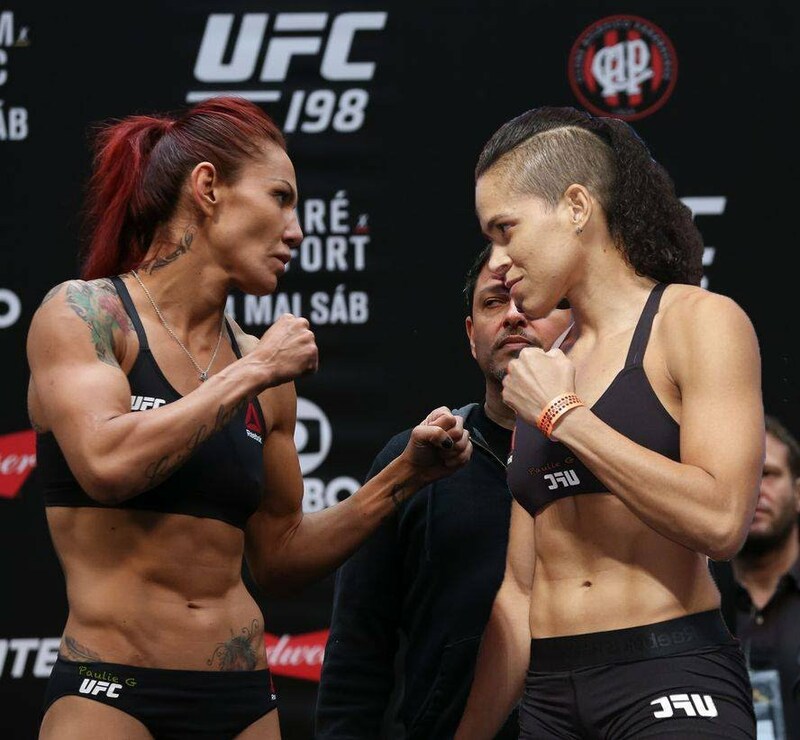 Sports that Cyborg vs. Nunes will be the next fight for the featherweight belt. He did not name a time or location for the fight, but one could reasonably assume that a spring date in either the United States or Brazil makes sense. White talks a lot and you have to take everything he says with a grain of salt, but he sounded convinced this would be the next fight, and on paper it's a great fight. Cyborg has been unstoppable at featherweight and has won every fight of her career since opening it with a submission loss in 2005. She's 19-1 with 1 NC in her career, and most of her wins have come by knockout. It's been hard for promoters to find competitive opponents for her, but perhaps Nunes is the right woman for the job. Nunes, the bantamweight champ, is 15-4 in her MMA career and has won her last six fights, including a knockout win over Ronda Rousey that should provide easy highlight reel material if the UFC does end up officially booking this fight. But more than anything, Nunes -- who used to fight at featherweight -- has proven in the last few years that she's the best women's bantamweight on the planet. And with the UFC desperate to find new opponents for Cyborg since there are so few legitimate featherweights out there, Nunes makes all the sense in the world as her next fight, and on paper this is an amazing matchup between two devastating strikers who also have respectable ground games. Cyborg would be a bit bigger, as she always is, but Nunes likely wouldn't be dwarfed in the Octagon, and skills-wise this is just a good match. Hopefully the UFC can actually get pen to paper and get Cyborg vs. Nunes booked. While it may not be a PPV blockbuster, as far as stylistic matchups go there is no better women's fight the UFC can make at the moment. Cyborg has been looking for a dance partner who will give her problems for a long time, and Holm wasn't that. But Nunes could be. With no other clear bantamweight title contenders, it makes sense at this time for Nunes to move up to featherweight and challenge herself to win another title. Let's just hope White is a man of his word and gets this fight booked.